July 26 is the 207th day of the year(208th in leap years) in the Gregorian calendar.There are 158 days remaining until the end of the year. 1887 – Publication of the Unua Libro , founding the Esperanto movement. 1951 – Walt Disney's 13th animated film, Alice in Wonderland , premieres in London, England, United Kingdom. 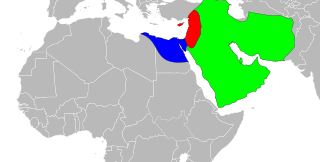 The Battle of Siffin (Arabic: وقعة صفين‎; May–July 657 occurred during the First Fitna, or first Muslim civil war, with the main engagement taking place from July 26 to July 28. 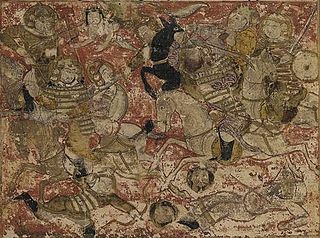 It was fought between Ali ibn Abi Talib who ruled as the Fourth Caliph and Muawiyah I, on the banks of the Euphrates river, in what is now Raqqa, Syria. Stanislaus of Szczepanów, or Stanisław Szczepanowski, was a Bishop of Kraków known chiefly for having been martyred by the Polish king Bolesław II the Bold. Stanislaus is venerated in the Roman Catholic Church as Saint Stanislaus the Martyr. Year 342 (CCCXLII) was a common year starting on Friday of the Julian calendar. At the time, it was known as the Year of the Consulship of Constantius and Claudius. The denomination 342 for this year has been used since the early medieval period, when the Anno Domini calendar era became the prevalent method in Europe for naming years. Emperor Cheng of Jin, personal name Sima Yan (司馬衍), courtesy name Shigen (世根), was an emperor of the Eastern Jin Dynasty (265-420). He was the eldest son of Emperor Ming and became the crown prince on April 1, 325. During his reign, the administration was largely dominated by a succession of regents—initially his uncle Yu Liang, then Wang Dao, then the joint administration of He Chong (何充) and another uncle Yu Bing (庾冰). He became emperor at age four, and soon after his accession to the throne, the disastrous rebellion of Su Jun weakened Jin forces for decades. Year 432 (CDXXXII) was a leap year starting on Friday of the Julian calendar. At the time, it was known as the Year of the Consulship of Aetius and Valerius. The denomination 432 for this year has been used since the early medieval period, when the Anno Domini calendar era became the prevalent method in Europe for naming years. Saint Bartolomea Capitanio was an Italian Roman Catholic professed religious and the co-foundress of the Sisters of Charity of Lovere that she established with Saint Vincenza Gerosa. Capitanio's rather short life was dedicated to the educational needs of children and the poor and she served as a teacher for most of her life while using her order to achieve this aim. Blessed Andrew of Phu Yen is known as the "Protomartyr of Vietnam." Baptized in 1641, he was a dedicated assistant to Jesuit missionaries and was thus arrested in the purge of Christians launched in 1644. After refusing to abjure the faith, he was put to death in Ke Kham. Andrew was beatified by Pope John Paul II on March 5, 2000. His feast day is 26 July. ↑ Lammers, Craig. "Roy Castleton | Society for American Baseball Research". sabr.org. Retrieved 26 March 2019. ↑ "Patti Deutsch Ross Obituary". Los Angeles Times . July 28, 2017. ↑ "Ohio executed a prisoner for the first time in three years". NBC News. Retrieved July 26, 2017. ↑ "Adem Demaci". Newsday Entertainment/Celebrities. 2018-08-10. Wikimedia Commons has media related to July 26 .